Hello – thanks for visiting my website. I’m Mark Abbott, the sole owner and operator of Monkey Wrench Plumbing, Inc.
that, spent 11 years as a service automobile mechanic. Honest, courteous, on-time, and above all, skilled. It’s my belief in these values that led me to establish Monkey Wrench Plumbing. I am strongly committed to providing you, my customer, the top-quality service you deserve, at prices you can afford. 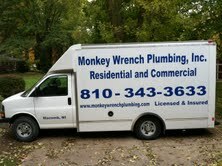 • Monkey Wrench Plumbing, Inc. is fully licensed and insured. • In addition to my Master Plumbing License, I hold a Plumbing Contractors License and a Gas Piping License. 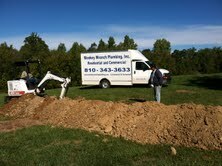 plumbing, installation, repair and remodeling. budget — is important to me. Here are just a few of the services I provide. from you to answer your questions and to provide all of your plumbing needs.